Senior and Secondary tutoring will focus on the needs of each individual student. Noosa Tutoring Centre’s Secondary program builds the core foundation for success in the final years of school. It is essential that students’ numeracy and literacy skills are secure as the learning curriculum becomes more complex. Diagnostic Assessment to identify core strengths and challenges allowing staff to design individual programs to meet each student needs. One to One tuition for quick and effective results to close learning gaps and achieve success. An essay writing program that allows specialist teachers to focus on improving students’ writing skills in a variety of text types. This includes learning how to analyse questions, develop ideas, plan and construct essay style responses. NAPLAN preparation workshops for years 7 and 9. Noosa Tutoring Centre staff understand that the Senior Years, Years 11 and 12 are intense and results driven. We know that time management is crucial to success and will impact on student’s results. The importance of being organised, consistent and goal orientated will result in student success and a future filled with opportunities and choices. Noosa Tutoring Centre has qualified Senior School teachers and markers who will ensure that all studies are curriculum focused to achieve the best possible results. 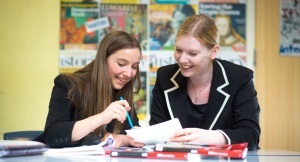 One to One tuition from Standard to Extension English and Maths A, B, & C are conducted by experienced teachers who are up to date with current themes and have extensive experience with all texts and mathematical problems associated with the Senior School. Please enquire about Senior School tuition in other subjects i.e. Ancient and Modern History, Chemistry, Biology, Physics, Drama, Business/Legal studies as we have experienced teachers from various fields available. Contact Noosa Tutoring Centre or email an enquiry to us via the Location and Contact menu.